Struggling couple Joseph (Zach Avery) and Sarah (Angela Trimbur) book a weekend getaway at a luxurious hilltop house. Unable to face her husband intimately after her recent miscarriage Sarah invites her estranged best friend Estelle (Janel Parrish) and her new boyfriend Victor (Jonathan Howard) along for the would be romantic getaway. With the tension in the vacation rental already high, The Visitor (Fairuza Balk) knocking at their door opens up a whole new level of trouble. A weekend of fun turns deadly and not even your best of friends can be trusted. The cast of mostly undiscovered talent does a fine job. I had not seen Fairuza Balk since the 90’s but she returns looking like Sally Hawkins with an excellent performance in the film’s most intriguing and mysterious role. What originally seems like unrealistic or bad decision making by the characters ends up being explained as the plot develops. Sergeant Daniels (Carlo Rota) is a little bit over-the-top but it’s a fun performance. Intruder #1 (Joey Abril) is cliché to the max but it’s effective. 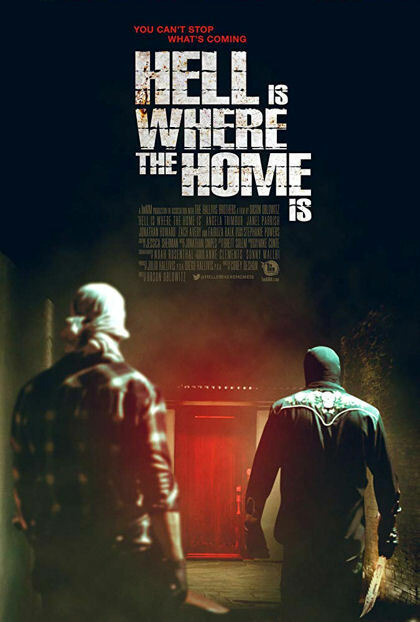 Writer Corey Deshon and director Orson Oblowitz put a little bit of a different spin on the tried and true if not a little bit overused home invasion concept. Oblowitz successfully keeps you guessing, building suspense in the mystery of the script. While it would be hard for anyone to top his debut feature in last year’s The Queen of Hollywood Blvd, he adds a solid addition to home invasion features with a touch more realism than you’ll find in most horror versions.